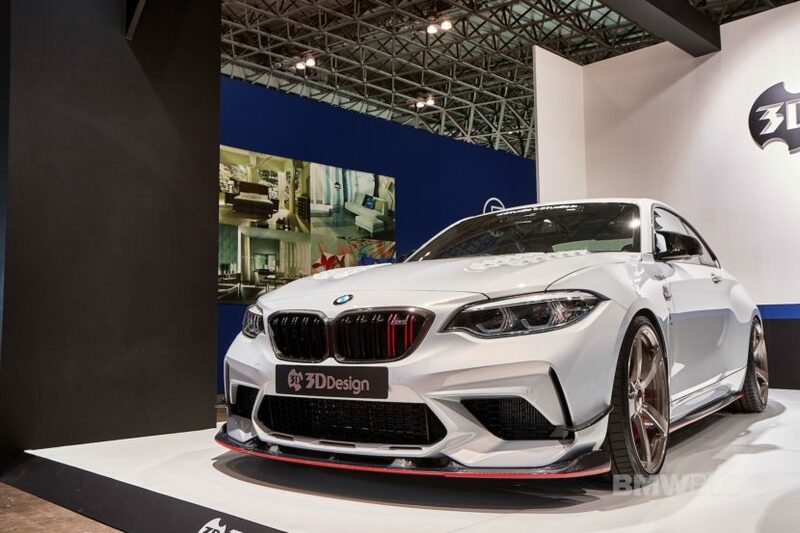 Two of the most important tuning shops in Japan – Studie JP and 3D Design – have teamed up to work on a project involving the new BMW F87 M2 Competition. The result of their hard work was put on display at the recent Tokyo Auto Salon. 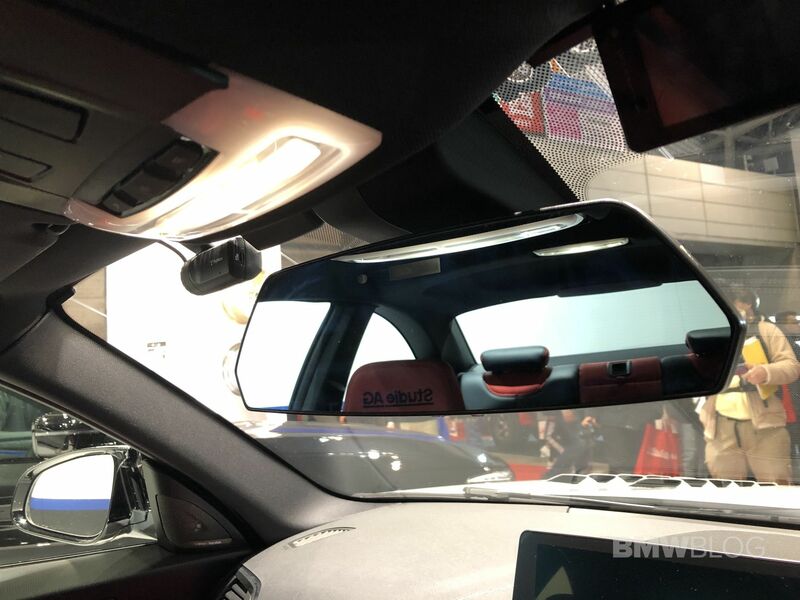 The folks at Studie JP donated the bonnet ducts and exterior red stripes, while inside, their wide rear-view mirror was installed. 3D Design brought to the table their famous aero kit made of carbon fiber. 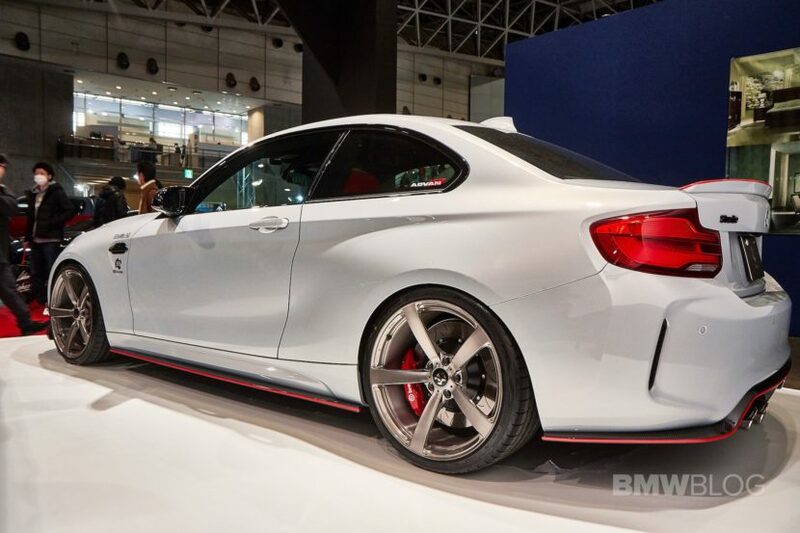 The front lip spoiler and canards – made of carbon fiber – are new and exclusive to the M2 Competition, and they are more aggressive than those they make for the “regular” M2. In the back, the stock exhaust system gets a slight upgrade as well – a set of carbon fiber exhaust tips. The ride quality was further improved in the M2C with a 3DDesign coilover kit with adjustable camber plate. The 20 inch Type 3 forged wheels are also unique to the car and they come with a custom paint. Under the hood, the S55 engine gets an upgrade as well by inheriting the 3D Design M4 High-Flow Intake Kit. No power gains are being shared at the moment since the intake kit is still in the testing phase. Last but not least striking is the combination of the Hockenheim Silver color with orange accents that run along the front, sides and rear.